Muro de texto, mas quem curte SMT (e provavelmente a linguagem japonesa) vai curtir. if you’re as mired in SMT and its demons as I am, chances are you know a thing or two about the Japanese side of the lingo. And no, this isn’t going to be a rattling diatribe complaining about quality of localizations, so quash that thought right now (however, lots of kanji will be used, so fair warning). Instead, I present you something that’s long been a conundrum of mine: 魔神. What is that? It’s “majin,” the Japanese name for the Deity race. As you may know, the Deities are comprised of mostly patriarchal gods like Odin or other divine benefactors like Vishnu or Thoth, hence why the 神 (“god”, etc.) kanji is used. But what about the other kanji, 魔? ”魔" is a magic little kanji that’s pervasive throughout the Megami Tensei series and underpins quite a bit of its terminology. It’s so pervasive, in fact, that it persists even in the English localizations in certain untranslated terms. 魔, read as "ma," is loaded with mostly negative connotations in Japanese such as witchcraft and devilry (ex. 魔女, "majo" [witch]; 魔法, "mahou" [magic]) so it’s no surprise it’s commonplace in SMT. But if it’s so bad, why is it associated with demons that are anything but demonic (in the traditional sense)? As stated, 魔 is everywhere. But before we return to the discussion on demon races, let me introduce some of the general series terminology that contains that kanji. This is by no means intended to be an exhaustive list, though all the major examples should be covered. 悪魔, “akuma" (demon): This is the Japanese equivalent of the English usage of “demon.” Also a big, generic term for demons and supernatural baddies by the traditional meaning, whether in folklore or modern fiction.仲魔, “nakama" (demon ally): This is one of those ubiquitous puns in Japanese where a homophonic kanji is replaced with another to provide a skewed meaning. In this case the word "nakama" (仲間), meaning "comrade," has its second kanji switched for some demonic wordplay. As you would expect this is used for allied demons, though the pun could not be translated into the English localizations. Are we really worse off for it? It’s definitely worth noting that the "仲魔" construction seems to be tied uniquely to the franchise, as searching for it pulls almost nothing but SMT-related results.魔界, “makai" (demon world; The Expanse): “Makai” is a general term for the world where spirits and yokai dwell, and is sometimes used to express similar negative realms of Buddhism (a debatable “hell”). Is it a pervasive word in Japanese pop culture? Ohhhh, you betcha. 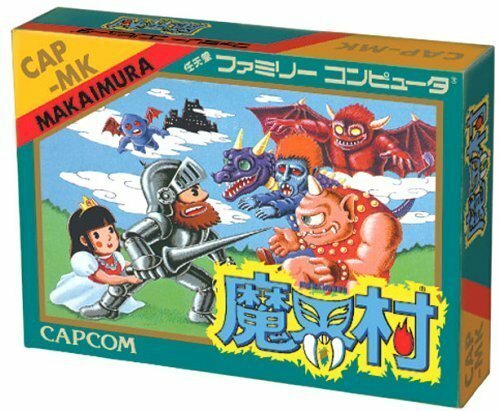 Countless manga, movies, anime, and games use it in titles alone; too many to list here, though one example of personal interest isMakaimura, the Japanese title of the Ghosts ‘N Goblins series. In SMT, the Expanse is sort of like Hell, but, as usual, is more all-encompassing; it’s where Lucifer sets up shop in SMT2, for example, but it’s also implied to be the point of origin of most, if not all, of the demons. The Expanse is sometimes compared to the Atziluth world of emanation in the systems of Kabbalah, where the potential of everything originates from in an unformed state.魔石, “maseki" (demon stone, magic stone; Life Stone): Another common term in Japanese media. A quick search yields plenty of examples in modern games, especially of the likes of free-to-play titles and mobile, perhaps far beyond the influence of SMT. There’s a pattern emerging here. 魔神, “majin" (magic/demon god; Deity): In terms of religion and myth, “majin” can be used to describe mythological entities like the Vedic Asuras and the bad kind of Middle Eastern Djinn, if the Japanese Wikipedia page is to be believed. But it’s in the pop culture scene where “majin” is a star. The classic super robot property Mazinger Z (below left) possibly plays between “majin” and “mashin” (machine) in its title; the main robot is referred to as Great Mazinger, incorporating the “majin” kanji in its name (大魔神我, daimajinga). Another icon is Daimajin (大魔神; below right), a giant monster resembling an ancient Japanese haniwa warrior in a live-action series of the same name. 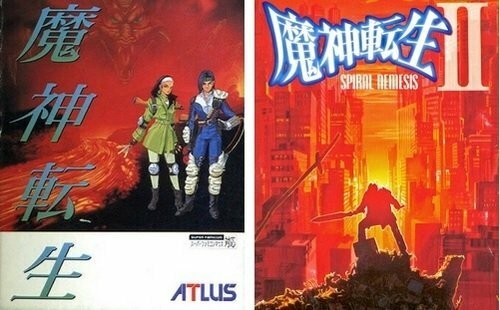 As mentioned in the opening, SMT’s Deity race couldn’t be more different from the Japanese semantic norm. Other than some bizarre inclusions that would be shuffled around in later games, it has always stood by-and-large for positive male gods of polytheistic systems, and is always Light-affinity whether it is counted as a Law or Neutral alignment.幻魔 (phantom demon; Genma) and 妖魔 (mystic demon; Yoma): More terms for demonic forces in Japanese pop culture. Genma appears in the 1967 manga seriesGenma Taisen (幻魔大戦) and a 1983 anime adaptation; the titular Genma are a race of demonic antagonists. The Yoma may be adapted from the Chinese yaomo, which means demon; it is also a term associated with yokai and Japanese ghosts. To contrast, the Genma in SMT are largely hero-figures who straddle two lines of existence, such as the Irish hero Cu Chulainn or Hindu monkey saint Hanuman. The Yoma are images and icons of transition or omens, like Ganesha and Valkyries, and are not openly antagonistic. These two races are also the remaining evidence of “ma” in the English localizations. Why they were left as-is will be discussed in a subsequent article. 魔獣, “majuu" (magic/demon beast; Beast): Searching for this kanji yields results including a 1984 Tezuka anime and even a Gamera movie, among many others. In general, “majuu” encompasses fierce beasts and monsters, skewing towards the fantastical. If you were to make a direct SMT comparison, what this term seems to actually represent are the beasts within the “Wilder” race.夜魔, “yama" (night demon; Night): Difficult to pin down this one! There are popular recent works that hog up most search results, and the more popular demons of the race like Lilith, Lilim, and Succubus aren’t making it easy to find a point of origin for the term.魔王, “maou" (demon king; Tyrant): An astoundingly ubiquitous term in Japanese media and perhaps the most commonly seen of any here— a search on Yahoo Japan brings up over 25 million results. “Maou” is a classic expression used to describe big baddies in Japanese fiction from Devilman to even Mario’s Bowser. This may be the one case where you can say “ma” still carries a wholly negative implication in SMT, as the Tyrants are exactly the kind of major bad guys and archenemy figures you see in myth and religion, like Lucifer or Ahriman. An appropriate match!魔人, “majin" (Fiend): A generic term for devils, seemingly inclusive of the Asura and Djinn, much like its homophonic sibling above. Is also the “Majin” in Dragonball Z's Majin Buu, but appears in lots of other places from Yu-Gi-Oh! to light novel titles. Famously, SMT’s Fiends are incarnations of death itself, in both appearance and role—arguably a different approach from the norm. As a related aside, if you count the Machine (マシン, mashin) race along with Fiends and Deities, that makes for three near-homophonic races; see also the note about Mazinger Z above. These are the major “ma” races, all still in use in games today. An interesting fact is that since the glut of races introduced in SMT1, only a few contain “ma,” and all are either very specific or outside the normal context. The first is the Tenma (天魔) race appearing only in SMT1 and Majin Tensei II, which is an actual term in Buddhism for spiritual obstructors. There’s also the Zoma (造魔), the artificial demon created by Victor in the Devil Summoner series. And last, but not least is… “Demon God Emperor" (魔神皇) a title and race given to SMT: if…’s all-around insane dude Hazama. There are a few more but so obscure they aren’t worth mentioning. So why the relative lack of “ma” in newer games? With a new company, new staff, and new outlook since the Namco-published original, influences were likely coming from new sources. 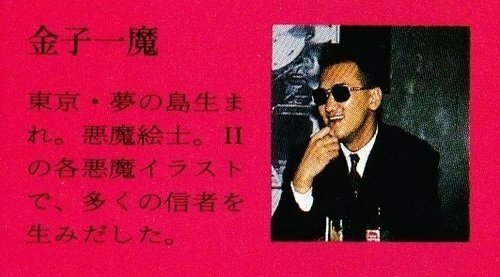 It’s also worth noting that, briefly, Kazuma Kaneko wrote his name with 魔 (金子一魔 instead of 金子一馬), as evidenced in the liner notes of the Megami Tensei I and II soundtrack (below). He reverted it back as soon as Shin Megami Tensei’s release in 1992. Then, 魔 is not just commonplace but used in a variety of contexts. What’s most important is that many of the words are not exclusive to Megami Tensei and can be dated to before the first game or even the original Digital Devil Story novel. So what, then, is my thesis here? Megami Tensei has incorporated common terms from pop culture from its very beginning.As the series progressed it became clear that those terms were not necessarily operating under their literal meaning, such as “majin” (Deity).Original terms like the pun on “nakama” use elements from the old terms in new ways that respond to the series’ own definitions.Then, the terms that still use “ma” have been redefined to fit the series’ definitions. Phew! 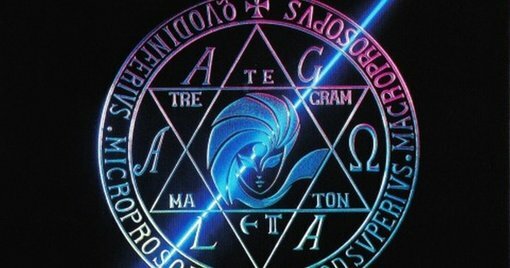 In short, that just all means that "ma" was long ago stripped of its literal meaning and became a kind of shorthand for "akuma"/"SMT demon" itself: a supernatural entity of any disposition. For example, going back to “majin,” the implied translation would not be “magic god” but “demon god”—yes, the SMT generic “demon,” just to be sure one last time. Or, an alternate way of looking at “ma” is that the context is so obvious to be actually meaningless; if it were omitted, the crucial information would still remain. As a vestigial element of pop culture influence, “ma” just doesn’t make sense within the context of the series any other way. To be clear, I’m not advocating this is a better reference to the race than what we already have—personally, I think “Deity” is ideal and better than the Japanese original. And the rabbit hole may go deeper! “Ma” may be intentionally incorporated into other words in the series, even ones that are only spelled using katakana. I’ll list off just a few examples. Ones I think are definitely intentional include Macca and Magnetite. In fact, Macca was originally spelled in kanji using “ma” (魔ッ貨, “makka”) though this didn’t last long and has been largely forgotten.Ones I think are probably not intentional include Soma and the Ma-/Maha- skill prefixes. Soma fits too well in the series as a mythological elixir for its “ma” to be much more than a nice coincidence. Same with Maha-, which just means “great” in Sanskrit.Lastly, food for thought: MA, I mean, Mem Aleph. Is it a coincidence she is the “mother of demons”—魔魔? There are other kanji used in demon races also deserving of a look (like 妖, 霊, or 鬼), but the questions of their usage are a far cry from the complexities “ma” presents. But first, there is still that Genma/Yoma/Jirae/Jaki conundrum! Why are some of these words just so difficult to translate? There’s much more to it than just “ma.” But we’ll save that for a future article that winds back the clock to take a look at Nocturne’s translation and its impact on future localizations. Coming soon!